Dr. Albert Johary has been practicing Internal Medicine in metro Atlanta since receiving his M.D. degree in 1990. A graduate of the University of Florida, Dr. Johary received his Bachelors of Science degree with HIGH HONORS in Microbiology and Cell Science. 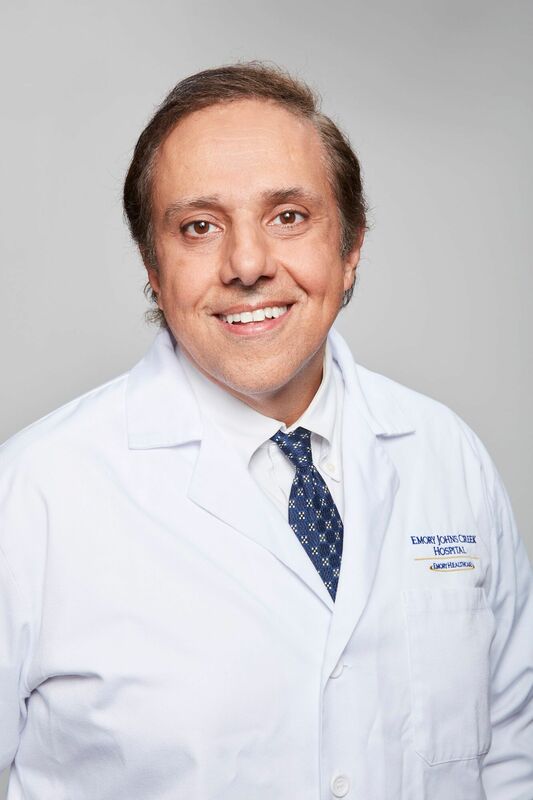 He received his Medical degree from the University of South Florida College of Medicine in Tampa, Florida, and completed his internship and residency training at the Emory University Affiliated Hospitals in Atlanta, Georgia. Dr. Johary has been an active instructor of medical students and residents from Georgia Regents/Medical College of Georgia where he serves as a full Clinical Professor. Dr. Johary teaches 4th year medical students from Georgia Regents in his office each month, and has been the recipient of several Teaching Awards for dedication to medical student education. Dr. Johary has also been listed as one of “America’s Top Physicians” by the Consumer’s Research Council in Washington, D.C for several years. Dr. Johary is very active in organized medicine, serving for over a decade on the Board of Directors of the Medical Association of Atlanta. He has been featured in numerous medical segments from various media venues such as the “Ask the Doctor” program on WSB AM radio, CNN, the Anderson Cooper Show, Channel 5 Alive local news, and Sandy Springs Radio. Dr. Johary and his staff pride themselves in being very personable and attentive to their patients’ needs. He and his staff are able to work together to provide quality healthcare in a warm, compassionate, non-hurried environment. Dr. Johary and his staff enjoy their work and it shows. Dr. Johary sees patients age 18 to 65 years old.